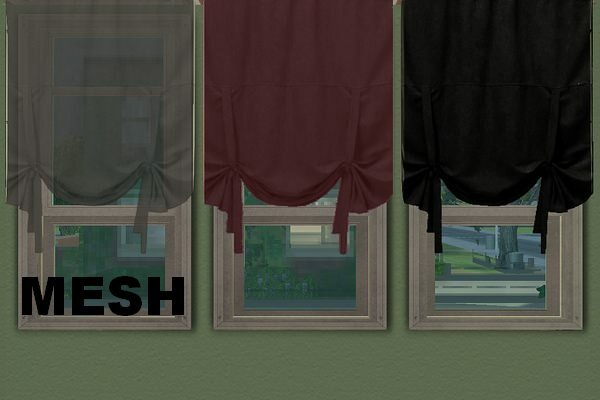 Some recolors of 4efs’ bedroom curtains. I wanted a non-transparent version for a lot I was working on and decided to make a few other colors. Click the pix to go to the download link! Thank you for these, Toni! No matter how many curtains I have in my game, I've always got at least one place where none of them are just what I want. Thank you for providing more options. Thanks Cher! 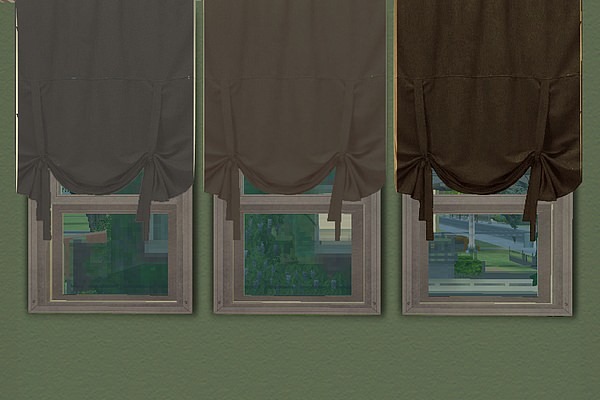 I'm obsessed with having lots of curtain choices, because all of my simmies can't possibly have the same curtains in the homes, right?! That is why my downloads folder is so ridiculously bloated. I can't have all my Sims with the same few furnishings or curtains or walls! Oh, these are great! Always great to find new curtains. Ulli! How awesome to see you! I've missed you! So pleased you like the curtains.